Concrete pressure washing can breathe new life into your Winston-Salem home’s exterior. 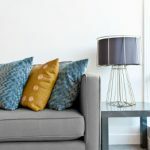 They say that you never get a second chance to make a first impression, and that same saying applies to your home, as well! When someone drives up to your Winston-Salem, North Carolina home, you want them to see the time, effort and care that you’ve put into it, not the oil stain on the driveway! 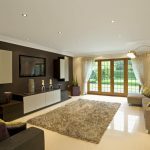 If you would like to make the best impression possible with your home, our team at Steam Source would like to help you with our concrete pressure washing services. Our concrete pressure washing services can do wonders for your worn or stained concrete. Because of the outdoor nature of concrete, it’s a substance that can really take a beating! Weather, debris, dirt, oil, and all kinds of other substances can stain or discolor your concrete, making it look tired or worn. Thankfully, it doesn’t have to stay that way. Our concrete pressure washing services can help eliminate stains from grease, oils, or dirt or other frequently used and discolored portions. When we are done with our concrete pressure washing, you’ll feel like your concrete looks like new again! 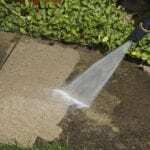 Once we have completed your concrete pressure washing, you might want to freshen up your other outdoor areas, as well. We can also assist you with pressure washing of your siding and patios. If you would like to learn more about our pressure washing services, including our concrete pressure washing services for your Winston-Salem home, we would love to hear from you. Please give us a call today and let us show you the beautiful concrete that is hiding beneath that dirt and grime! 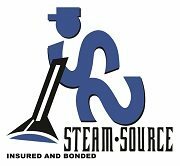 At Steam Source, we offer concrete pressure washing services in Winston-Salem, Greensboro, Kernersville, Clemmons, Advance, High Point, Mocksville, Pfafftown, Jamestown, Oak Ridge, Summerfield, Lexington, King, Walkertown, Colfax, Lewisville, Welcome, Bermuda Run, Thomasville, Yadkinville, and Walnut Cove, North Carolina.